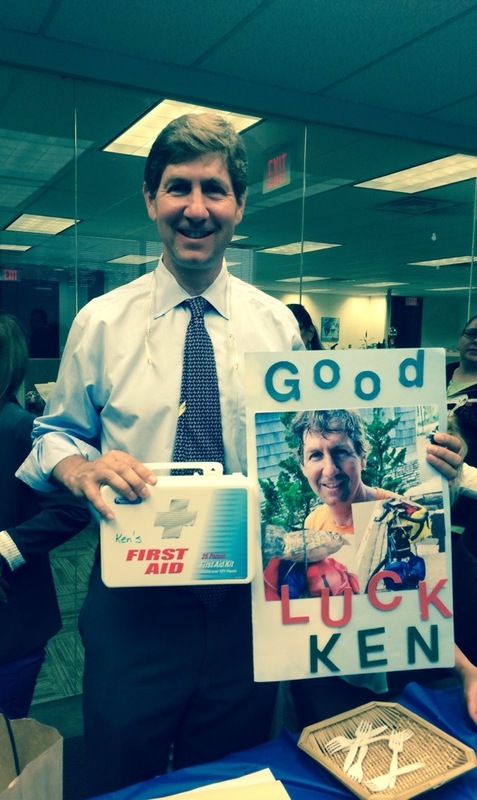 My family at Levitt-Fuirst surprised me with a Bon Voyage celebration yesterday. It was a very intellectual crowd. 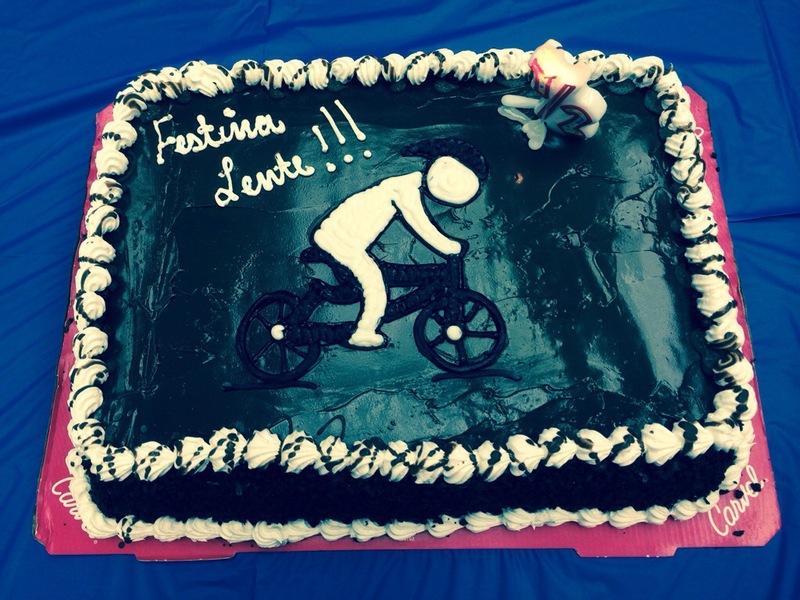 The cake read “Festina Lente” which translates to oxymoron “make haste slowly”. And Louise, the only employee that has been here longer than me, loaned me her 1962 edition of John Steinbeck’s “Travels with Charley”. I read a section of the book to the group. That section concluded with “we do not take a trip, a trip takes us”. Planes, Trains, Automobiles, Bus and now Bike!